We are hosting a free training workshop in Drumcondra Education Centre, St. Pat's College Dublin, on Thursday 4th February from 5 - 6pm. We would be delighted to see some of our new Water Explorer teachers, and welcome back all our friends from last year who are invited to share their experiences with the programme and meet some new faces over a cup of tea! Letters of attendance will be provided for those who require them. 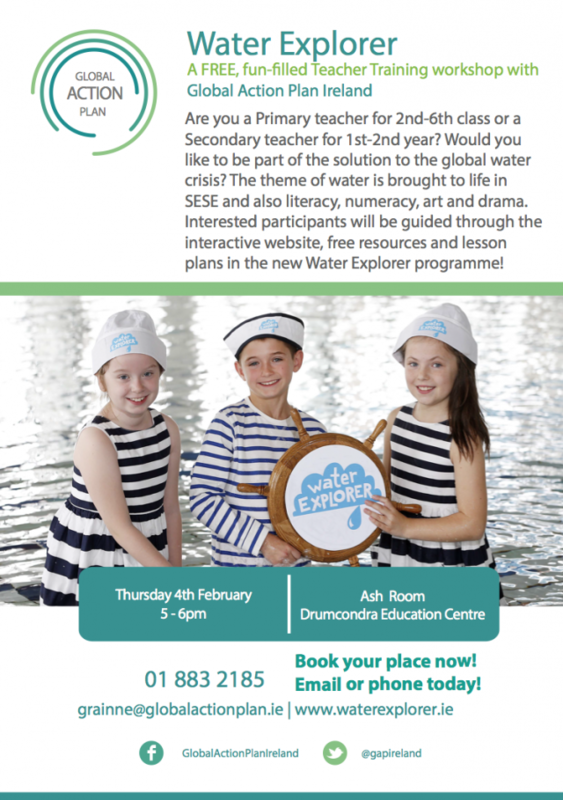 Register by phoning Gráinne on 01 8832185 or email waterexplorer@globalactionplan.ie with your name, school and class. For those closer to the West of Dublin, we are also hosting a session on Tuesday 2nd February from 5-6pm in Dublin West Education Centre (IT Tallaght).